When you need a skilled criminal defense, personal injury, family law or estate planning attorney in North Carolina, schedule a consultation at the Concord office location of Brannen & Walker, Attorneys at Law. We can listen to the facts of your case and provide clear direction and answers regarding your legal options. Whether your legal dilemma centers on criminal defense, personal injury, family law or estate planning, our firm stands ready to help. Put our experience and legal knowledge to use for you. Criminal defense: defending clients who are facing serious penalties from traffic violations, drug offenses, DWI, misdemeanor and felony offenses. Personal injury: representing injured clients after a serious motor vehicle accident. Family law: providing legal guidance to those individuals seeking a divorce or struggling through child custody and child support issues. Estate planning: answering questions and providing peace of mind for clients struggling to make end-of-life decisions. No matter the scope of your legal dilemma, we encourage you to schedule an appointment to discuss your specific matter. 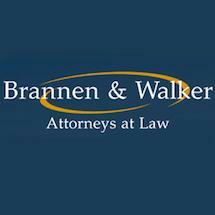 Call or email the law firm of Brannen & Walker, Attorneys at Law, to learn more about how we can help.